offered a fully integrated cockpit. In 2008, it was technology you’d expect to see in a jet. But now, more than half a decade later, maybe it’s not so much of a surprise. Yet, each time I slide into the seat and turn-on the power, I still catch myself grinning. It’s based on the Garmin G1000 platform but includes many enhancements unique to the already best-selling Cirrus SR22. The screens, communication, navigation, keyboard console and autopilot are all Garmin components that have been integrated into one system. the center console alpha numeric keyboard is less than an arm’s length away. 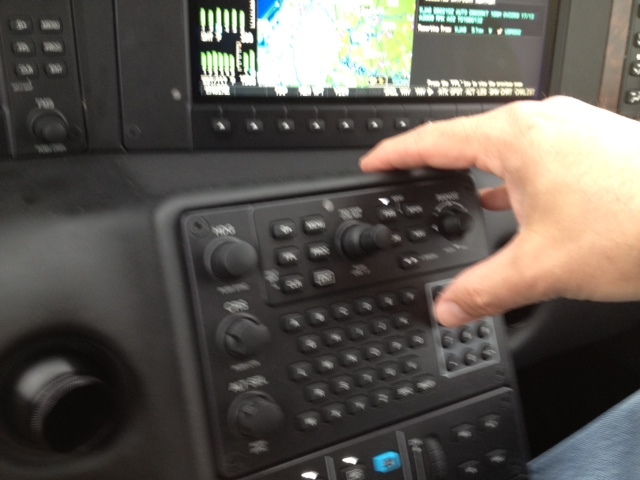 In flight you can rest your hand on top of the console and change communication and transponder frequencies with an easy push of your thumb. For transponder code, just press “XPDR” and four numeric keys with your thumb. The transponder code automagically activates. No enter button required. Simple. To change communication code, just press “COM” and five numeric keys with your thumb. No enter button or decimal required. Simple. You flip-flop frequencies with just a press of the arrow button under your thumb. You’ll find comfortable ergonomics that work well in turbulence or smooth flight, day or night. Oh, and did I mention – the way she talks to me. Cirrus has a female voice. She’s part of the audible integrated caution messaging. So, general aviation . . . well, she has some “new clothes” and you have some new choices, in advanced performance composite aircraft for personal transportation. 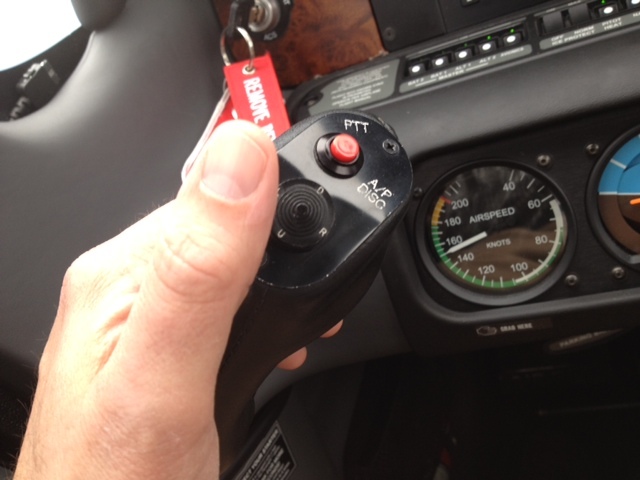 Posted on January 24, 2014 January 27, 2015 by Jeff BrewerPosted in Cirrus SR22Tagged Cirrus Perspective by Garmin.